Buy Spikings a Coffee. ko-fi.com/spikings - Ko-fi ❤️ Where creators get paid by fans, with a 'Buy Me a Coffee' button. Hi there! I'm Hannah Spikings, and I work as a Freelance Artist in Lincolnshire, UK. I'm the creator of webcomics APOC and Frolicking Freelancery, but I also do illustrations, prints and other bits too! To keep up with my latest work, please follow me on Twitter or Instagram. Message me if you have any questions or queries! Hi guys! I thought I'd set up a kofi page for anyone who wants to support my ongoing projects (APOC, Frolicking Freelancery and my patreon content) but without buying into any subscription based shenanigans. APOC and Frolicking Freelancery will always be free to read online, but without community support, their progress might slow or halt in the future. Every coffee helps keep these going though, and will always be appreciated! Secured Payments. Support goes to Spikings's account. 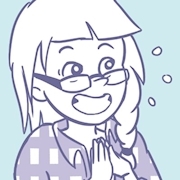 Help me advertise my webcomics! Upgrade Spikings to a yearly Gold Membership with a one-time payment.